Note the following in relation to Club Championships - If Kerry reach the Allianz League Final on Sun 31 March - All Rd 1 games with County Players involved in League Final will be played on the following Weekend April 6/7. All other games (ie those where no Kerry Senior Intercounty players are involved with Kerry in League Final) go ahead on Sat 30 March at 4.30pm. Above dates & venues will be confirmed at next meeting of the CCC which takes place on Thursday next 7 March. A remember that Rd 1 games in the Senior, Intermediate & Junior Premier championships will be played in a neutral venue. Rd 1 games in the Junior Championship will be played in home venue of first drawn team. 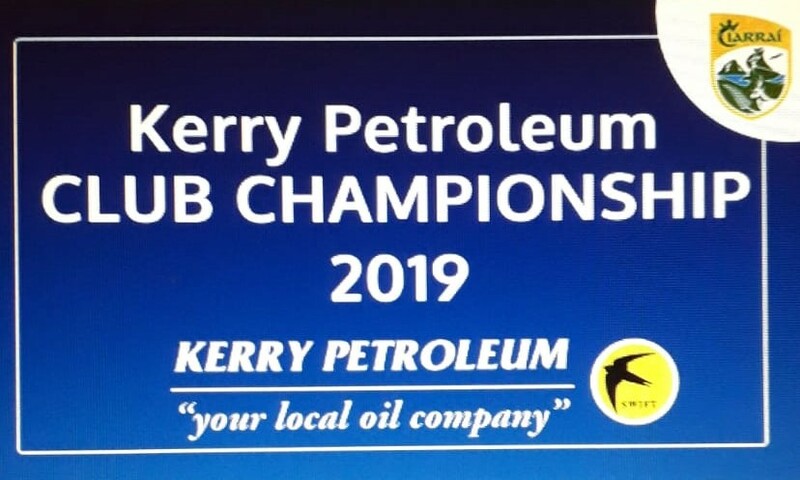 Rd 2 games in the Club Championship will take place on the next weekend available regardless if other games in the same championship are running a week later due to involvement of Kerry players in League Final. The CCC decided at its meeting last night that no postponement will be allowed on grounds that some other games are running a week later.